At the end of January, Cleveron hosted two representatives from the Embassy of the People’s Republic of China in the Republic of Estonia. The Chinese Ambassador H.E. 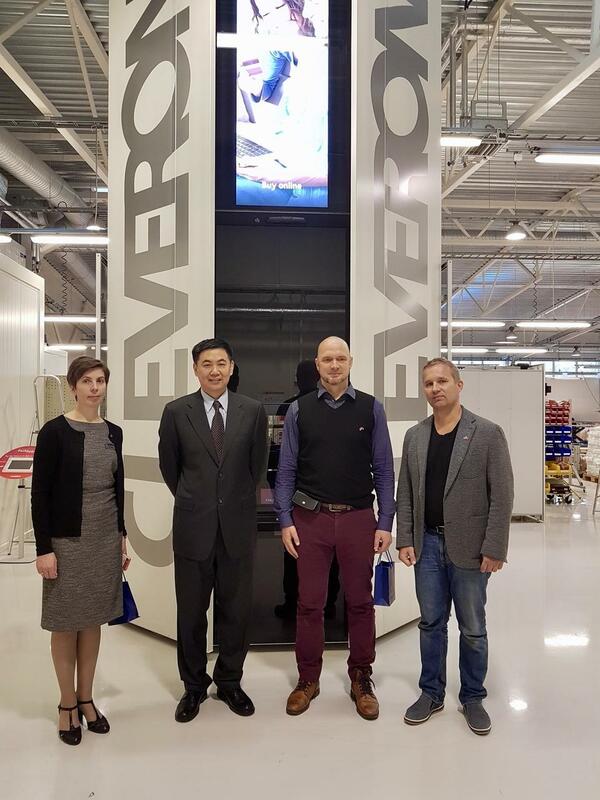 Mr. Qu Zhe and the Head of Political Section Mr. Hu Yong were met by Cleveron’s CEO Arno Kütt, COO Tiia Toom and Business Development Manager Peep Kuld. The meeting featured a tour around Cleveron’s development and assembly facilities. There Cleveron’s innovations and future solutions were introduced. The Ambassador was very impressed by Cleveron’s future solution for parcel delivery. He certainly sees the potential on the Chinese market. With Cleveron targeting new segments of logistics and retail firms, Chinese ambassador believes that the Chinese market can offer great opportunities by being the world’s largest in these segments. The meeting was held as a part of the first-ever Chinese Culture Week in Viljandi - organized in collaboration between the Chinese Embassy in Estonia, Viljandi Town Government and Viljandi Education Development Fund.